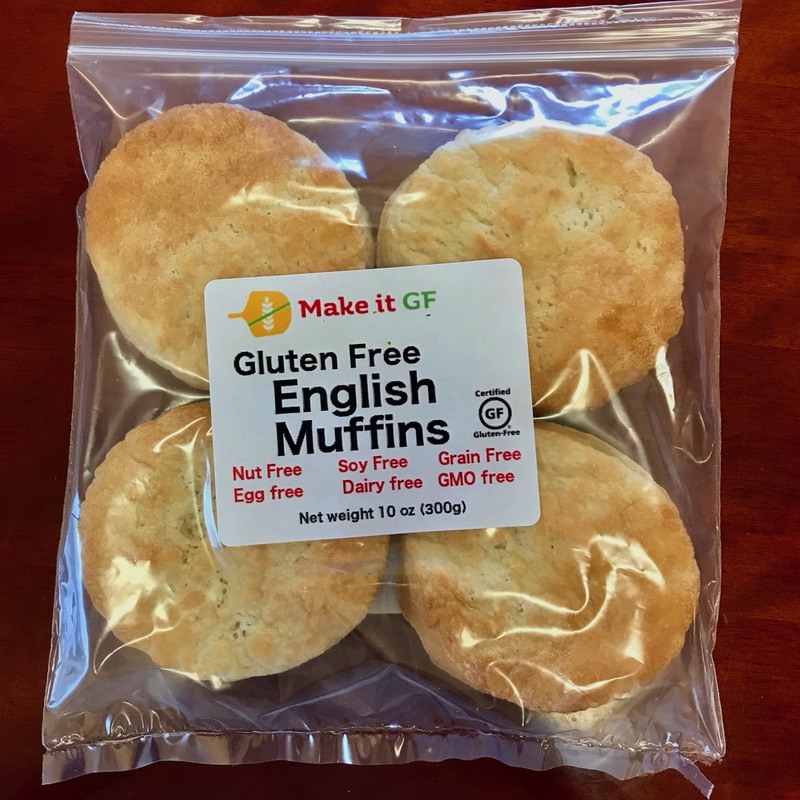 Our English muffins are the best you will find. Not a corn cake or a biscuit, and their structure doesn't collapse after they are buttered. Learn the nutrition facts for our English muffins here, or click on the image. 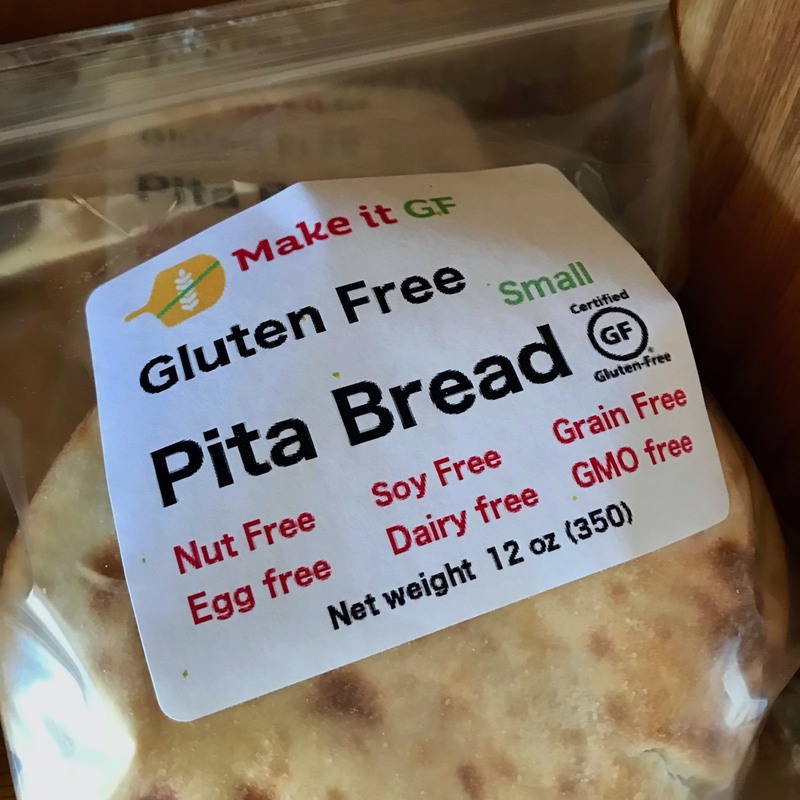 The future of sandwiches is gluten free and grain free. 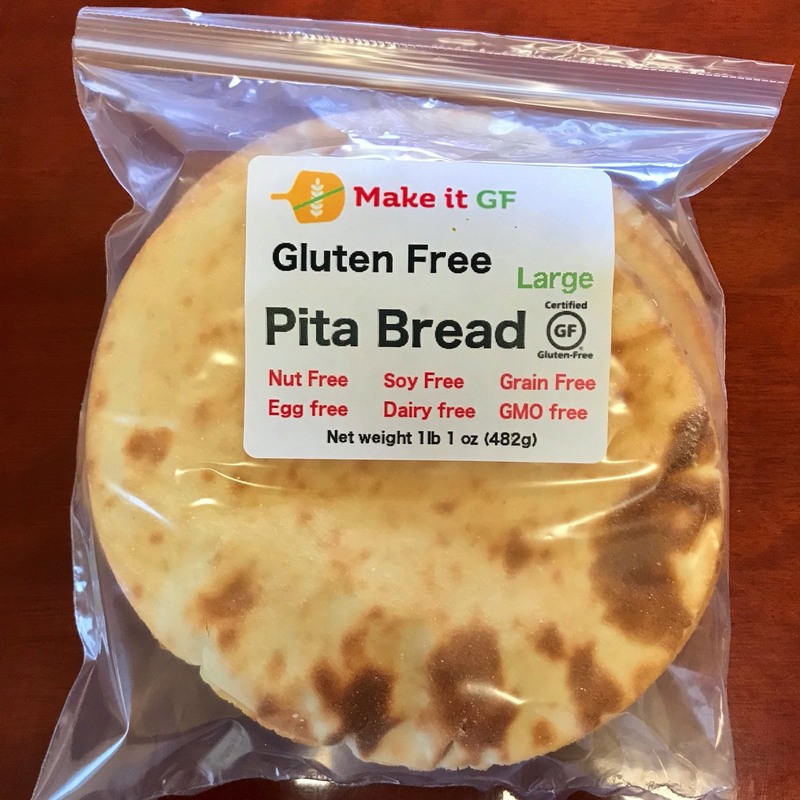 These pita are a great addition to any meal. Choose either the small or large size. Check out the nutrition facts here, or click on either image. 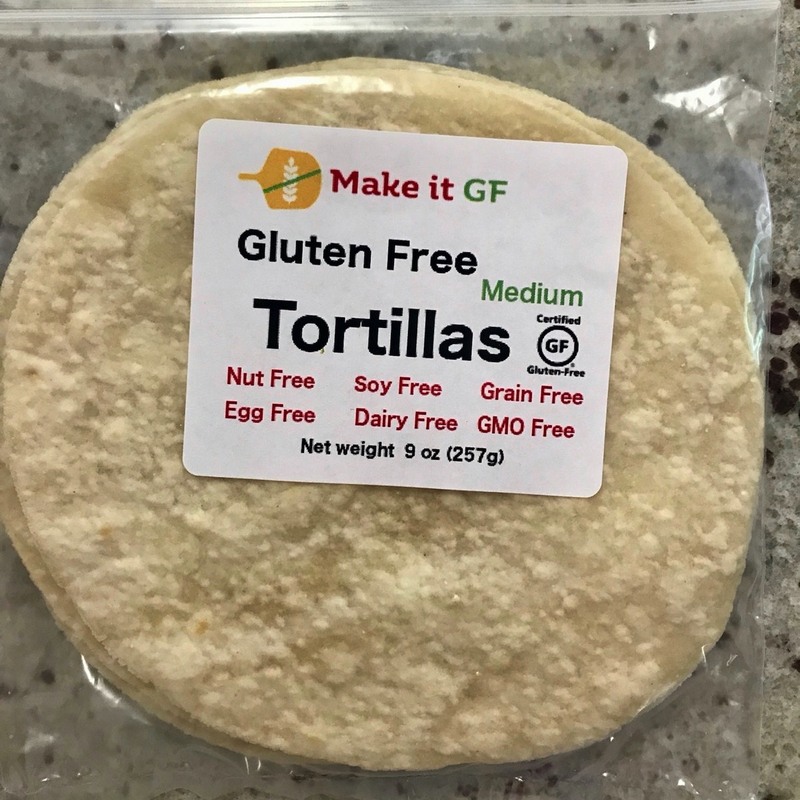 Our gluten free flour tortillas are as close to the traditional wheat version that you will find. Flexible enough to from into burritos or soft sided tacos, these tortillas crisp and brown nicely for the perfect quesadiila. Learn the nutrition facts for our tortillas here, or click on the image. 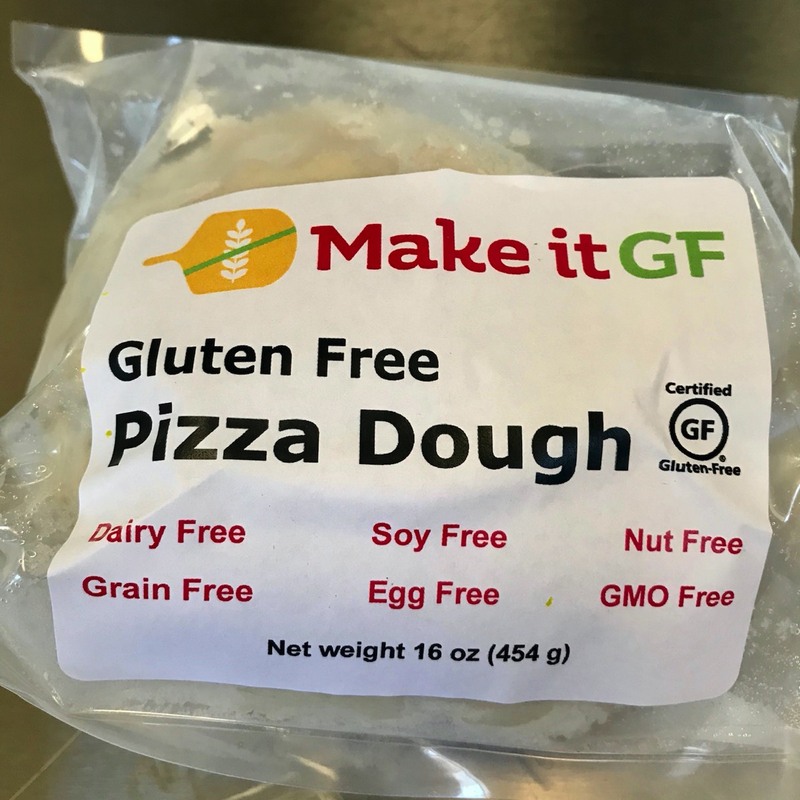 Pizza dough is where Make It GF began. This dough can be patted or rolled out just like a wheat dough (please don't try tossing it in the air!) then topped and baked in the oven. No parbaking required (unless you like doing that). 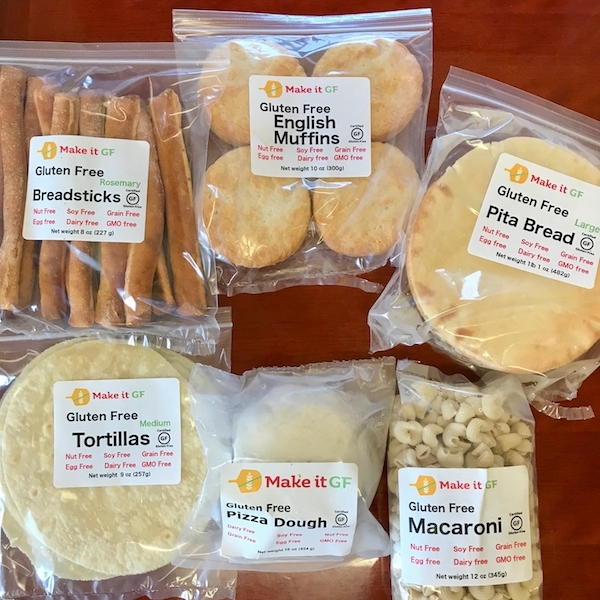 Dough can also be used to calzones, pepperoni bread, or fried dough. Dough should be frozen for long term storage, but can be kept in the refrigerator for several weeks. Learn the nutrition facts about our dough and more here, or click on the image. 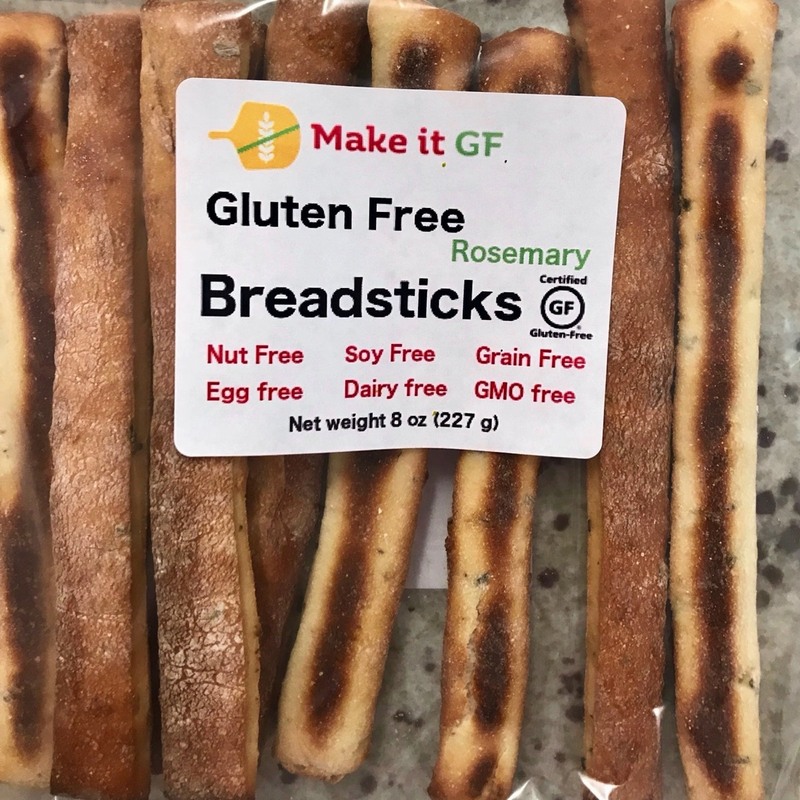 Breadsticks are back on the table! Starting a meal with a bit of bread and some oil or sauce for dipping can now be part of your dinner routine again. 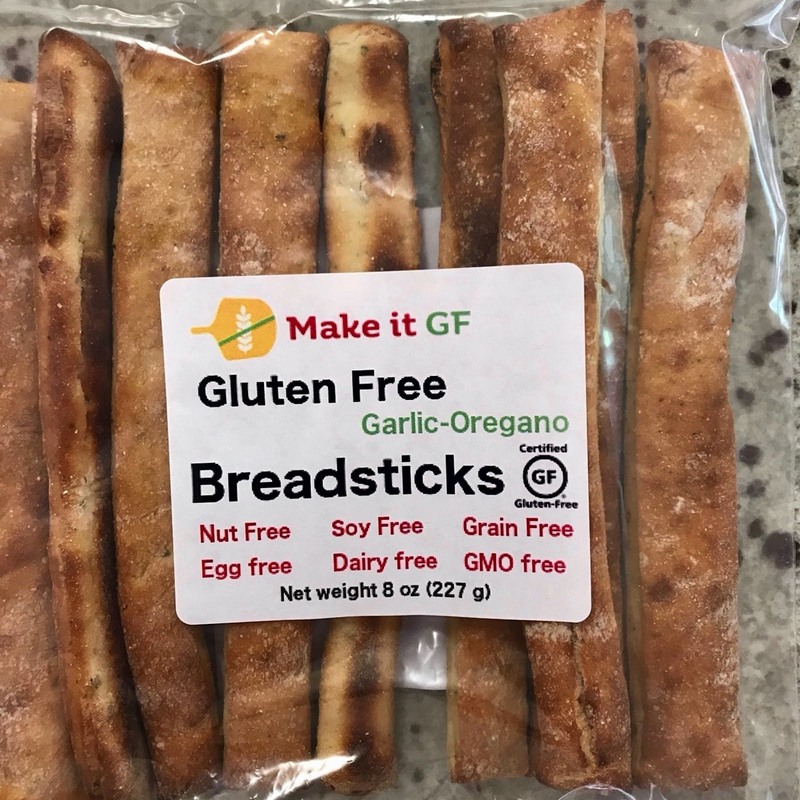 Learn the nutrition facts for our breadsticks here, or click on the images. How is our pasta different? 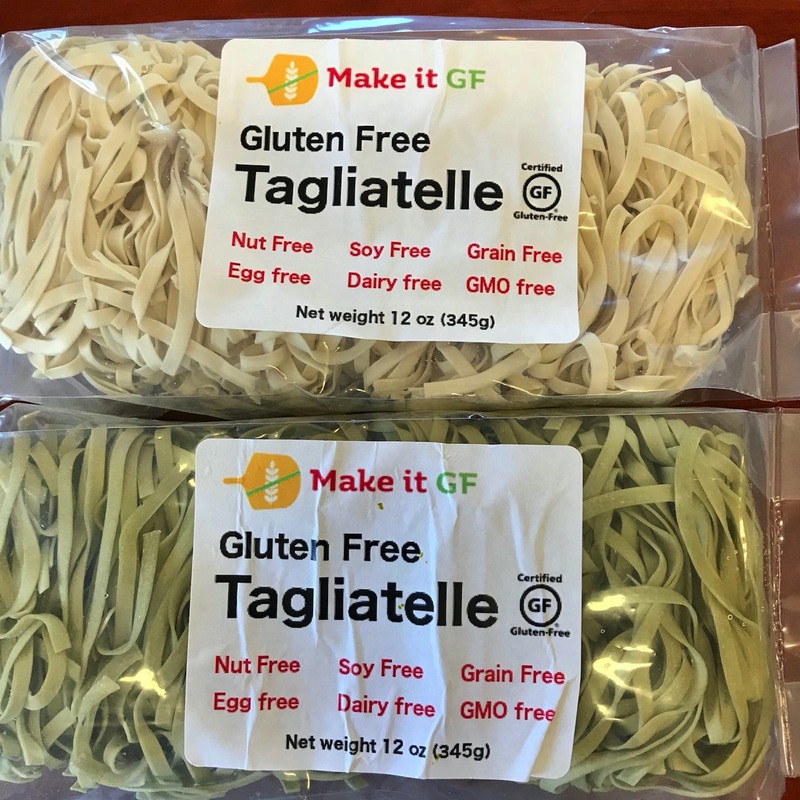 Unlike some gluten free pastas, our pasta does not fall apart during cooking. 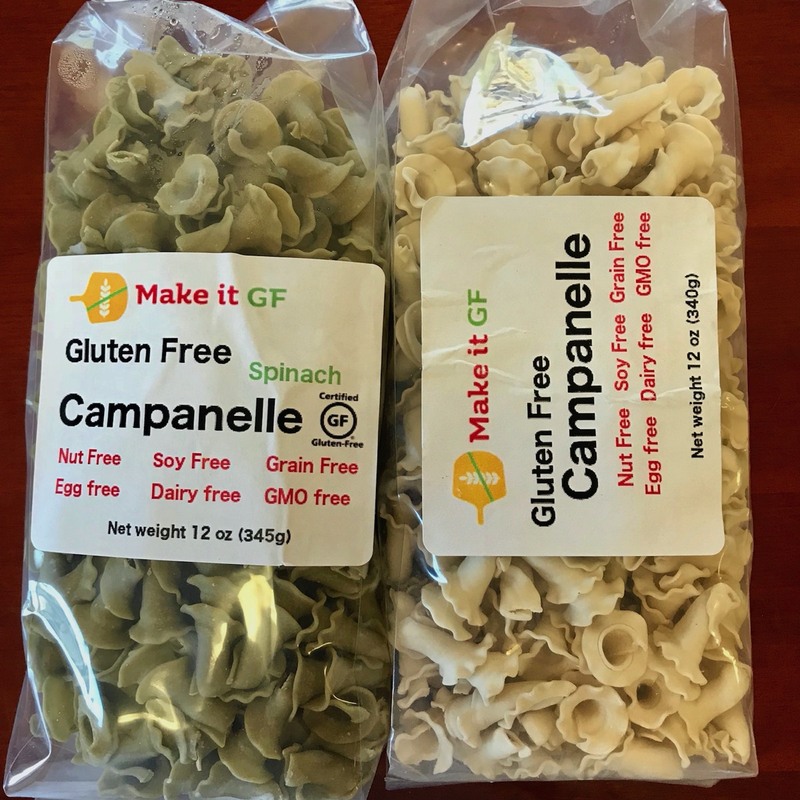 Our pasta has a taste and chew that is similar to wheat pasta. 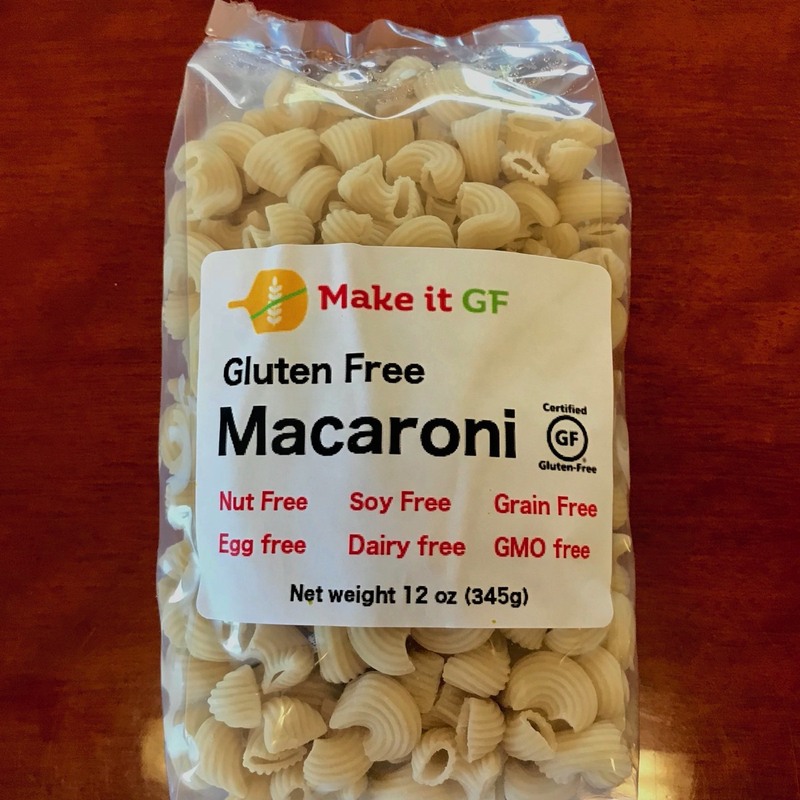 Very often nongluten free eaters have no idea that they are eating gluten free pasta! We currently offer pasta in four different shapes and two flavors. 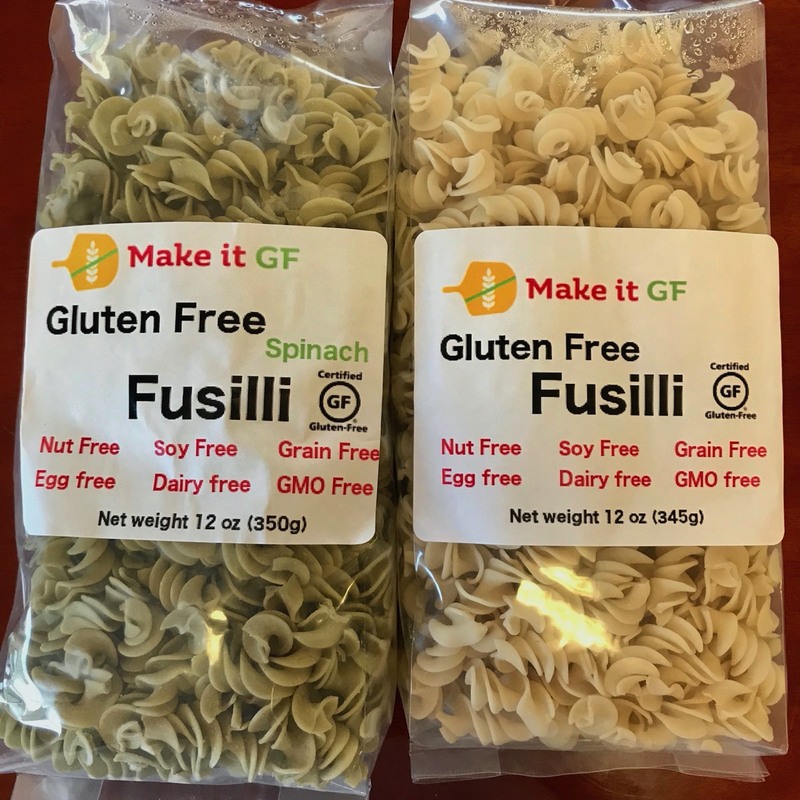 Learn more about our pasta and its nutrition here, or click on the images.